Vancouver studio Neon Astronauts Creative, the developer of Pick A Hand, is celebrating the release of its newest title, Water Slide Clyde And The Epic Glide, available now on iTunes for $0.99 USD. In the Tiny Wings, “dive n fly” genre, the developers have delivered a faster pace of play, a weightier feel, more freedom (fall/slide backwards), and slides/tracks crafted for racing. 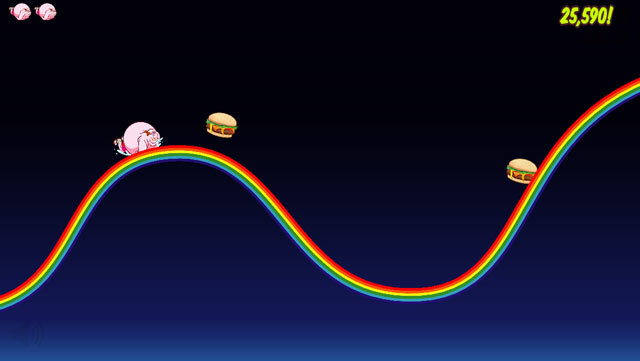 Each slide has multiple racing lines that can lead players to a secret world, rip them to the end of the level at top speed, or reward them with the soul satisfying glide of a true soul slider. 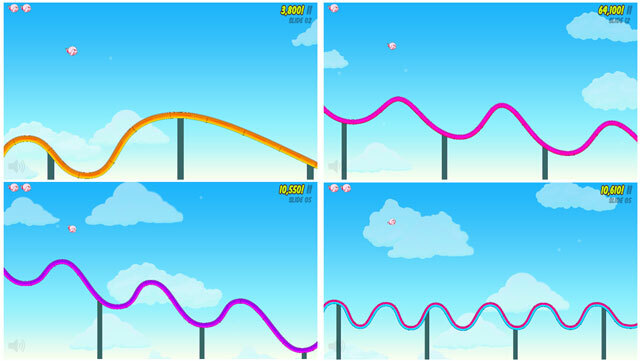 Water Slide Clyde features smooth, responsive physics and 1 touch controls. You touch the screen to dive. Dive into the down-slopes to build speed and release on up-slopes to glide up. An inside tip – there’s a secret zone you’ll discover if you air up off screen hard enough. Once you’re in the secret zone, if you air off screen again, you’ll earn an extra life. Touch/hold your screen to build speed on downhills. Release for uphills! You glide up to get air! From the air, touch again to dive into another downhill! Find a sweet racing flow, outrun the crowds, chase the Epic Glide! Water Slide Clyde and The Epic Glide requires iOS 4.3 or later, and is compatible with iPhone, iPad, and iPod touch. This app is optimized for iPhone 5. This entry was posted on Sunday, December 22nd, 2013 at 9:03 am and is filed under Casual, Everyone, Mobile, National News, New Releases. You can follow any responses to this entry through the RSS 2.0 feed. You can leave a response, or trackback from your own site.